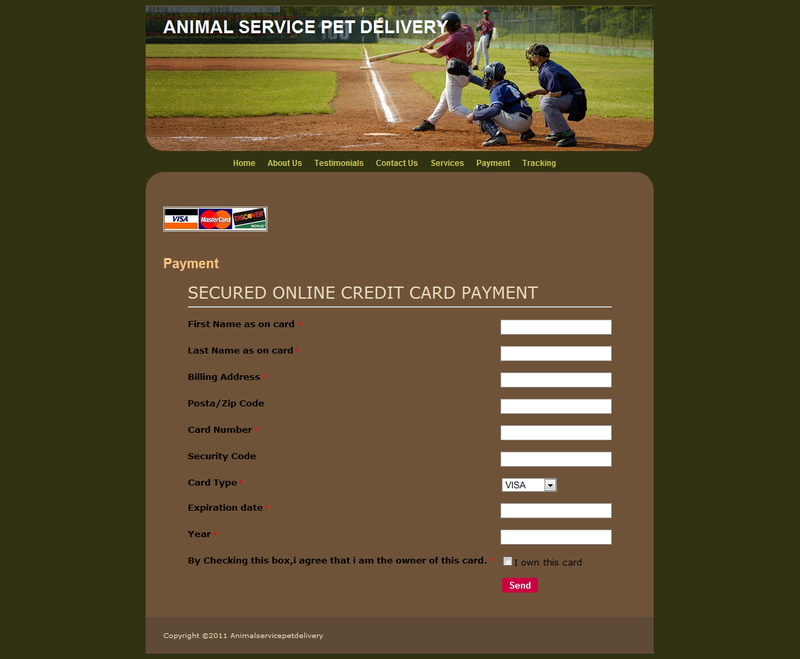 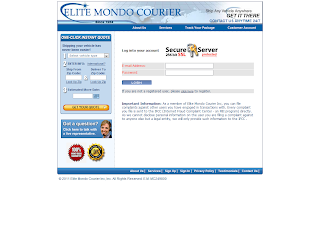 When you register for this site you are giving your information to criminals. 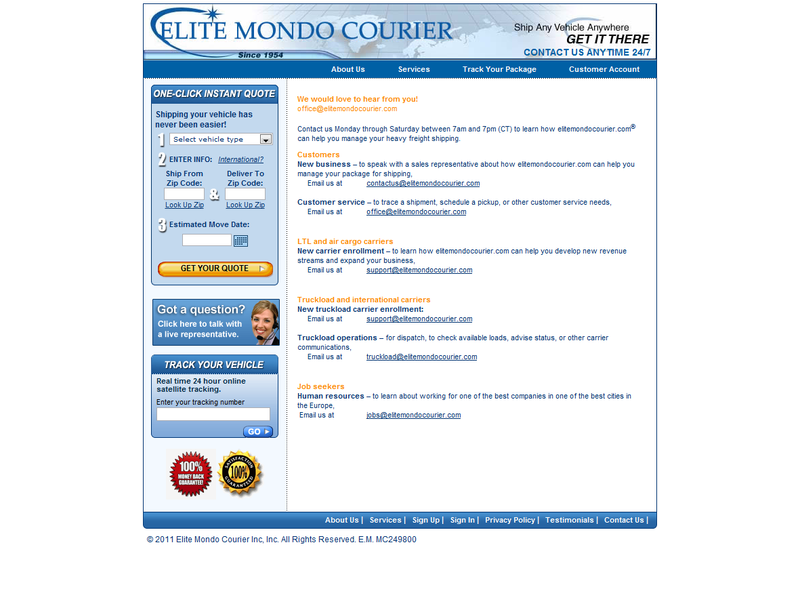 EliteMondoCourier.com offers transportation services along most of the major international trading routes to customers throughout the world. 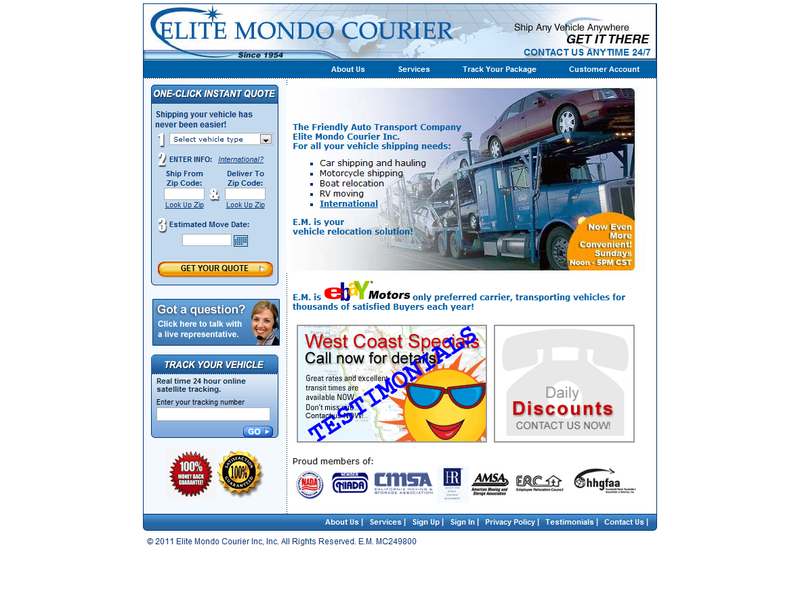 From its corporate headquarters it operates an intermodal system, which combines sea, land, and air transportation, enabling the Company to provide fast, reliable, frequent, and complete door-to-door services around the world. 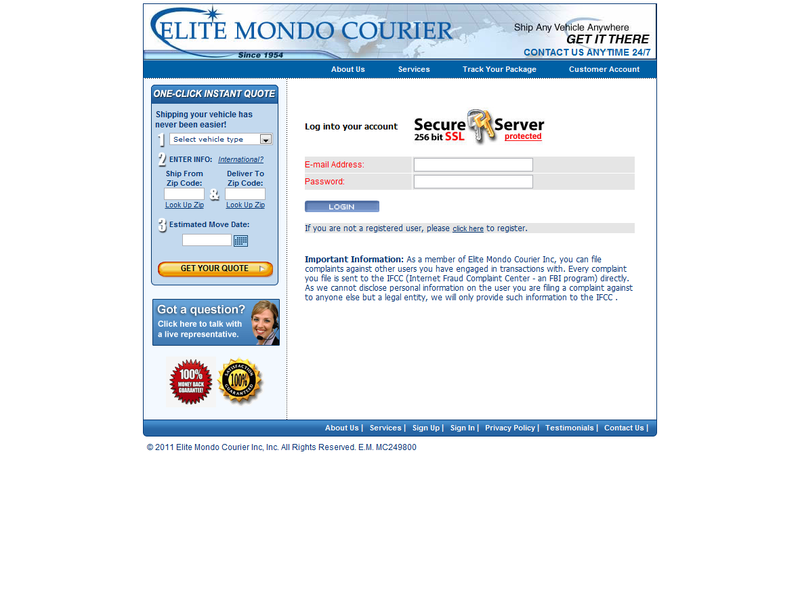 EliteMondoCourier.com's Vision is to be a leading competitive global shipping and logistics company, setting high level standards in the industry. 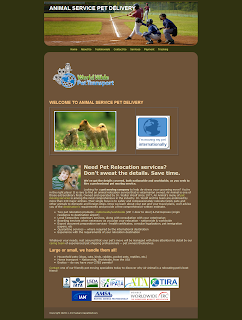 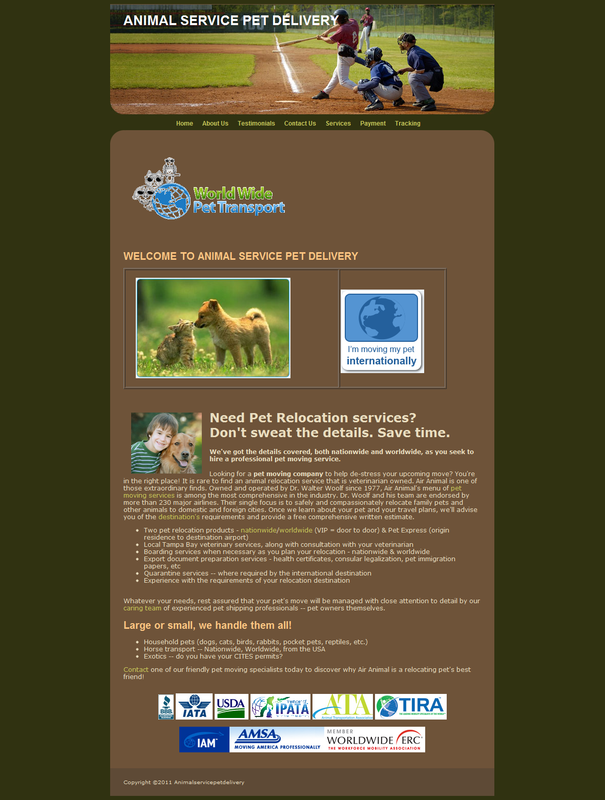 A company whose employees and partners identify themselves with its goals and values. 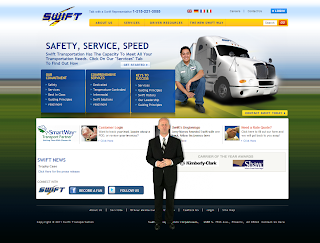 A major strategic goal of the company is growth, both organic and through joint ventures and alliances, in shipping as well as shipping-related areas. 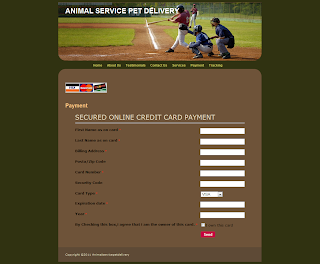 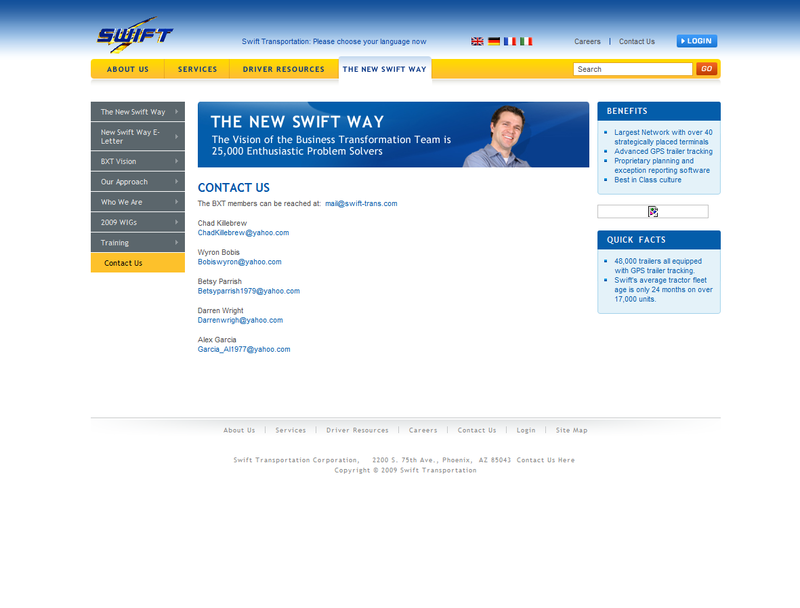 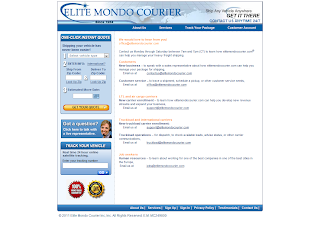 As part of our customer-focused values, EliteMondoCourier.com emphasizes Introversion of customer's values, Adjusting EliteMondoCourier.com's services to customer values and striving for long term, mutually beneficial relationships with our customers. 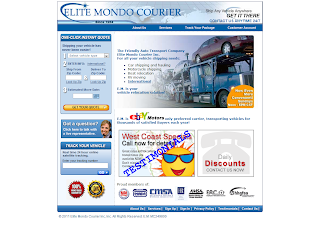 EliteMondoCourier.com strives to implement state of the art information technologies, promote e-commerce and knowledge management.